A few years ago when I was still living in Toronto, I took up belly dancing and immediately fell in love with it. Not only the movement, and the music, but the costuming as well. Vibrant colours and lots of sparkles. I am still determined to one day create my own Cabaret style costume. One of the things I miss the most about Toronto is my belly dance classes. I was fortunate this spring to find another great teacher here in Ottawa, and started dancing again. 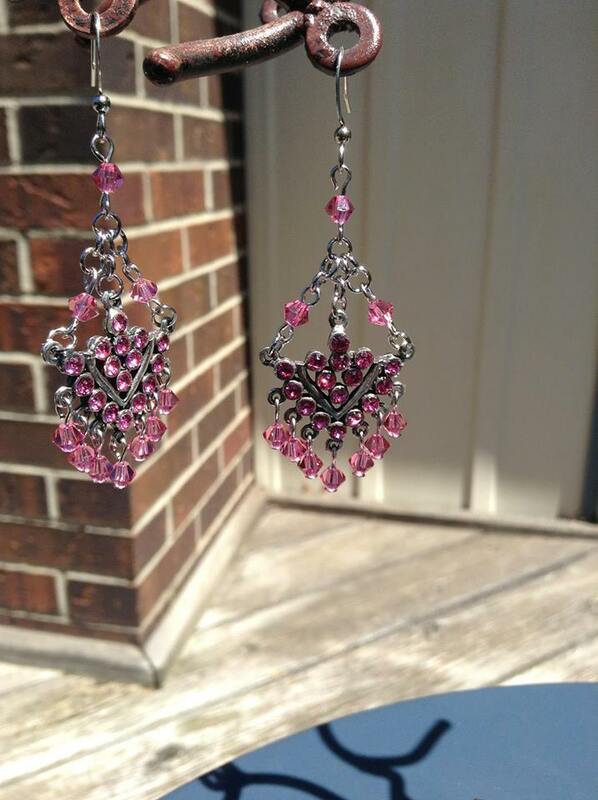 A couple of weeks ago we were chatting about costuming etc and I decided to make a few pairs of earrings that were inspired by belly dance. So after a visit to my favourite bead shop, here is what I came up with. I purchased the chandelier peices and then chose the chatons to glue into them, then I chose crystals I felt worked with them. 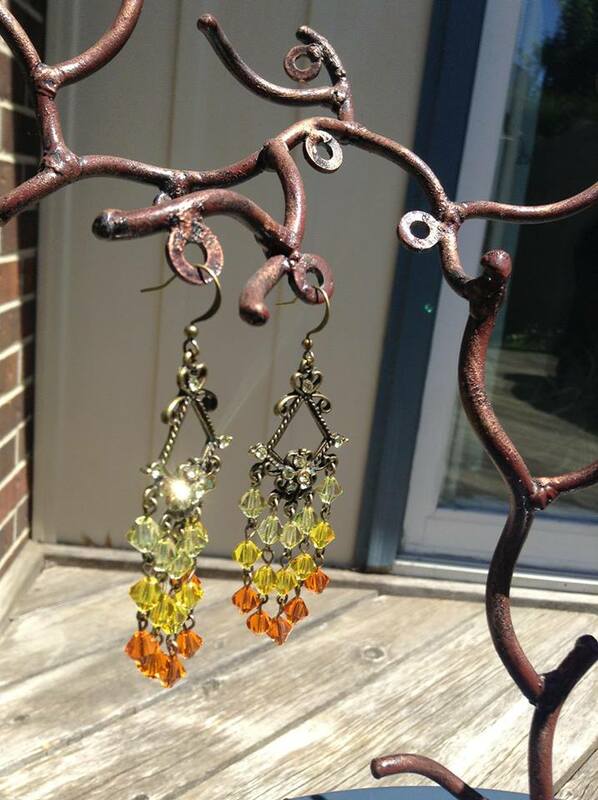 I love the ombre look, and so with the yellow pair, I chose Jonquil chaton for the brass chandelier piece and then a combination of Jonquil, Citrine and Sun, in 6mm bicones for the dangles. With the blue, I chose sapphire chatons and then light sapphire, light sapphire AB, sapphire, and sapphire AB bicones. The frosted glass bead in the centre, I chose, because the bicones didn’t fit in the opening , I needed something flatter. I really like the effect, I am wearing them today actually. The rose ones were a bit more of a challenge design-wise because they have three connecting loops at the top, so I could not do them in the same style. I had some 4mm nickel colour jump rings, and I really like how they came out. 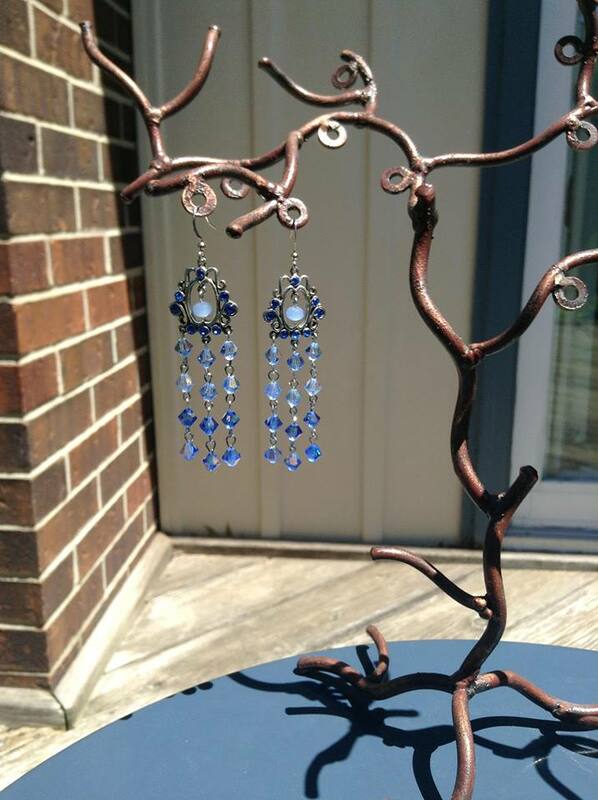 I have another pair to finish yet, and I am thinking pearls instead of crystals…hmmm…. I have also started another, much more ambitious cross-stitch kit, it is made by Dimensions Cross Stitch and I bought it online and a really neat site called Everything Cross Stitch, which is in the US. 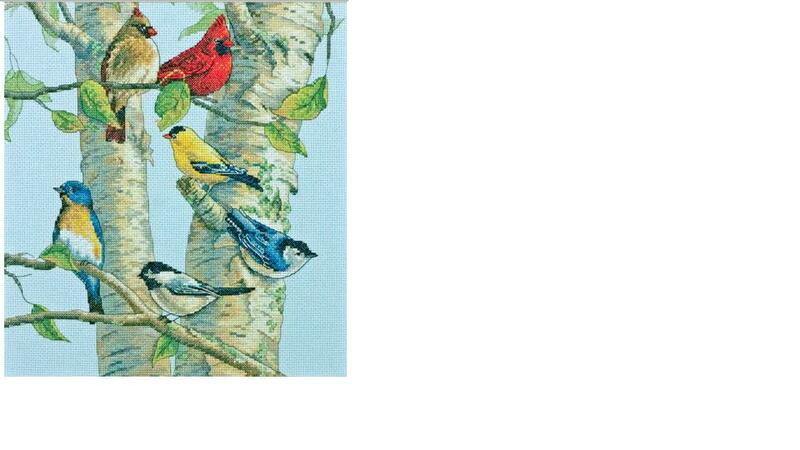 So far, I have done a tiny section of tree under the gold finch and it’s foot. I am trying to save it up for our trip to the cottage at the end of August. My next jewellry projects are a pair of earrings for a coworker, a bracelet for another coworker and I may begin to explore the colourful world of fascinators…. 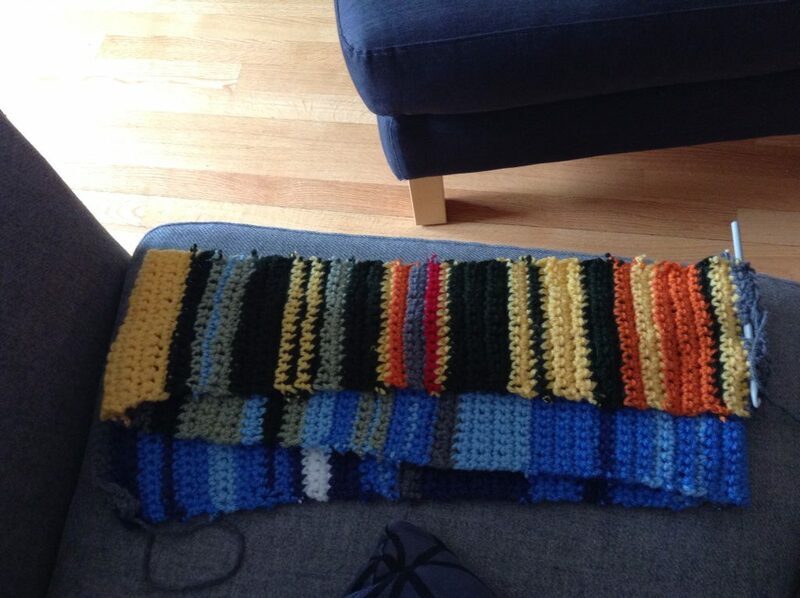 So I finally got caught up with my temperature scarf this weekend. I am not 100% pleased with the colours I chose for it though. 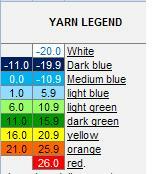 I should have picked a brighter green instead of the pale sage colour and the dark green is a bit too dark. Other than that, I like the yellow, orange and red. As you can see, it has been a lot warmer here in Ottawa in June! This was the only crafting I did this weekend as the rest of it was spent retiling the main bathroom with my husband.